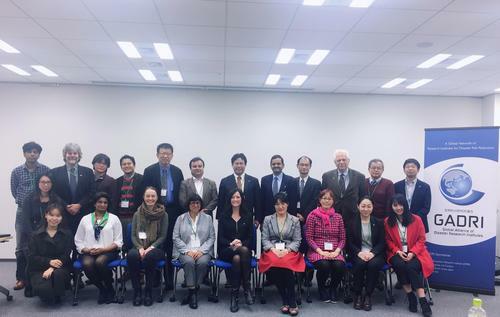 The Global Alliance of Disaster Research Institutes (GADRI) organized the 3rd Global Summit for Research Institutes for Disaster Risk Reduction: Expanding the Platform for Bridging Science and Policy Making which took place at the Disaster Prevention Research Institutes (DPRI), Kyoto University, Uji Campus, Kyoto, Japan from 19 to 21 March 2017, with the objective to provide a platform to scientific communities from different disciplines, backgrounds and countries to share their own knowledge, findings and views with each other to reach a comprehensive and an applicable knowledge ensuring effective disaster risk management. The conference was attended by over 250 participants from 38 states which represented 102 institutions. One of the outcomes of the Group Discussion sessions held during the 3rd Global Summit was to publish a series of GADRI Books. The book series will share evidence-based research outcomes and broadly capture current research trends, priorities and look at research gaps and future needs in disaster risk reduction and management. The first meeting of the GADRI Book Series was held at the Shin-Marunouchi Building‑10F, Tokyo, Japan on 21 November 2017. The meeting was attended by 29 participants and discussed publication of nine books through the publisher Springer.